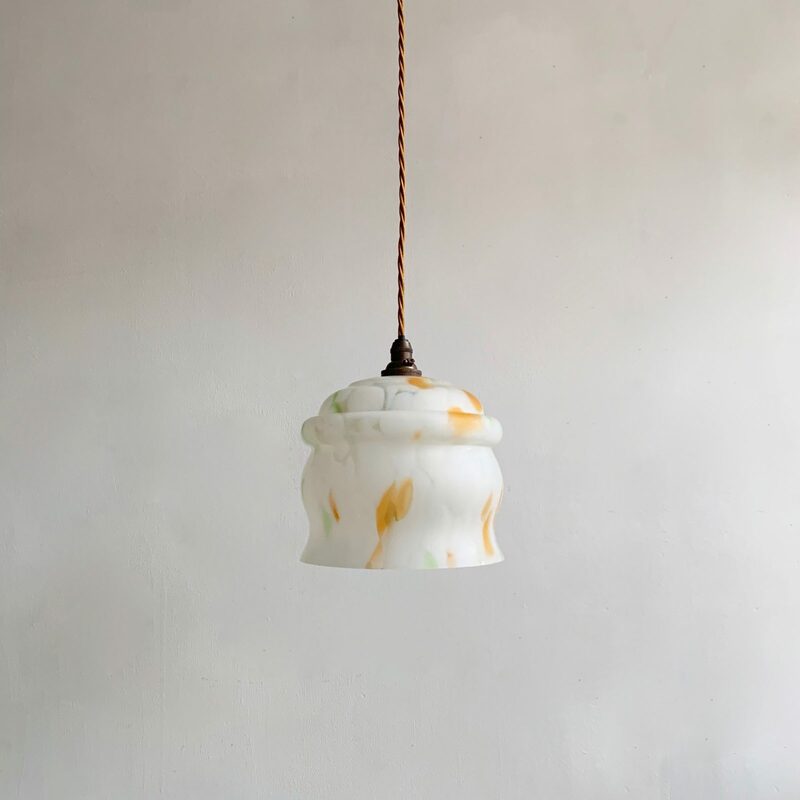 Orange, green and white matt shade wired with complimentary whiskey braided flex and an antique brass finish fitting. Two others in different colour variations are available. See photos. This shade requires one B22 lamp. The coloured flex can be changed to your preference and a matching ceiling fitting is supplied.